With the third and final Bledisloe Cup encounter for 2018 drawing ever closer, in partnership with Sage, premium partner of the Invictus Games, we look at how accountable play from the Wallabies’ impact players can help Australia match it with the All Blacks. At half-time in Salta, it was all over bar the shouting. Australia were 31-7 down to Argentina and had already conceded four tries to their opponents. The Wallabies were staring down the barrel of a rout, and it looked for all money like the game would be the final knockdown of Michael Cheika’s career in the boxing ring of Australian national coaching. In the event, the Wallabies came back from the dead to score five second-half tries of their own and win the second period even more resoundingly than the Pumas had won the first, by 38 points to three. Over the piece they won going away, 45 to 34. There is a lot of talk about how rugby is now a 23-man game, and the importance of seeing the starting 15 and bench eight not as the first choices and their replacements, but rather as starters and finishers. That is what ‘accountability’ means in relation to performance from the bench. It means that the bench players not only come on to the field when the energy of the starters is spent, they also offer something different, both in terms of the impact, and the number and quality of their involvements in the play. There has to be a definite uplift and renewal when the bench enters the fray. 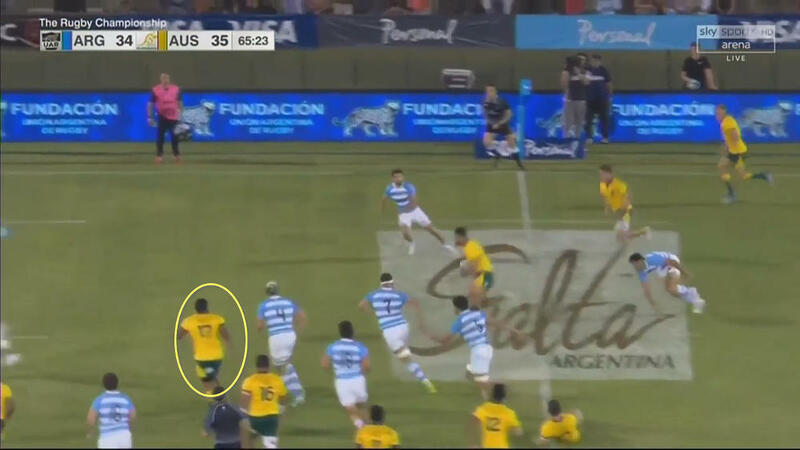 In Salta, that uplift in the Australian front row was particularly obvious, especially with ball in hand. The run-on trio of Folau Fainga’a, Scott Sio and Taniela Tupou had made six ball-carries and authored two passes between them. The raw stats of the finishers (Tolu Latu, Sekope Kepu and Allan Alaalatoa) who came on at the beginning of the second half were from another world: 14 carries and seven passes – a 262.5 per cent increase in output. The real stats when the stone of the raw is lifted reveal an even more dramatic picture. 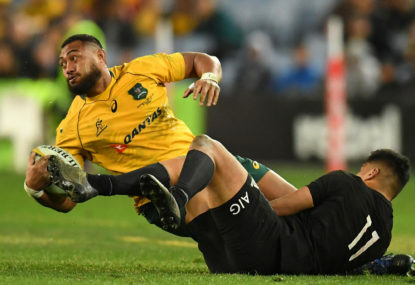 Between them, critical involvements from Latu, Kepu and Alaalatoa accounted for three tackle busts and three more clean breaks which were directly related to a trio of Australian tries. It was indeed a case of London buses, and good things arriving in threes in that momentous second period in Salta. You can add in a steal at the defensive breakdown by Latu, and a cleanout by Kepu for good measure. Maybe for the first time in his tenure, Michael Cheika got the balance of the front row exactly right on the pine. Kepu’s return to loosehead seems to have re-energised the Waratah veteran, while Latu finally played with a sense of discipline and purpose which matched his talent and desire – at least until he was yellow-carded in the 77th minute. Nothing is perfect, and there is always something to work on. Coincidentally, the work of the finishing front row in possession also addressed the area I highlighted in the first article of this series – finesse and attention to the small details in contact. The improvement in the sense of responsibility, compared to what has gone before, was nothing short of spectacular. This is perhaps the most straightforward example of all, with Tolu Latu crashing the ball up on a slight angle to keep the defence honest, generate one-second ball for Will Genia and allow the space on the right to be exploited next phase. Kepu stays square on the inside shoulder of his opponent with Latu running a disciplined hard angle next to him, and this has the effect of holding the Argentine forward defenders in front of them and fixing the first back outside the group. He is looking in on Beale and that in turn creates just enough of a hole for Folau to exploit as the ball is spun out. This represents accurate, responsible play by the attack. Here, the formation of the three front-rowers is subtly different. Latu wants to hit Folau, so Kepu (on Latu’s outside) drops a metre off the line to allow the pass to be made. He is not short on the passer’s shoulder as in the previous example, when the ball was played out to a receiver at the back of the pod. On this occasion, the outside man of the three – Kepu again, previously a decoy – is brought onto the ball via a tip-on play, with nice sympathetic hands from a square-on ‘triple A’. The Argentine forward defenders in this area were never permitted to settle into a rhythm by the variety of the Wallabies’ attack. 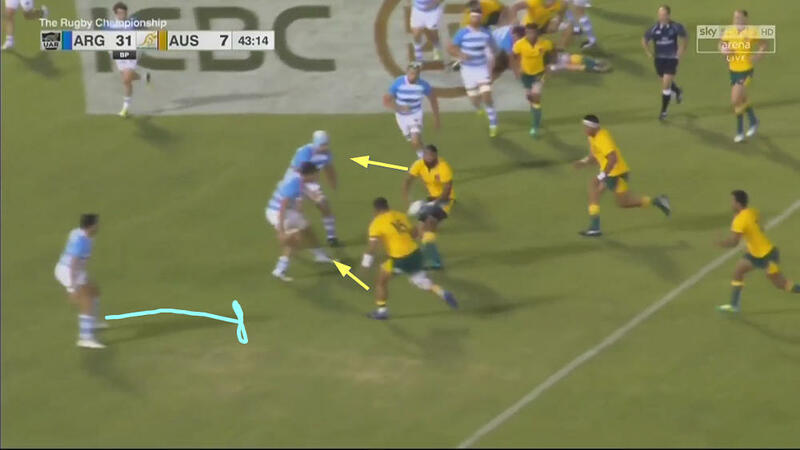 Here is yet another variation, the pass off Latu to the inside man of the trio, Allan Alaalatoa. 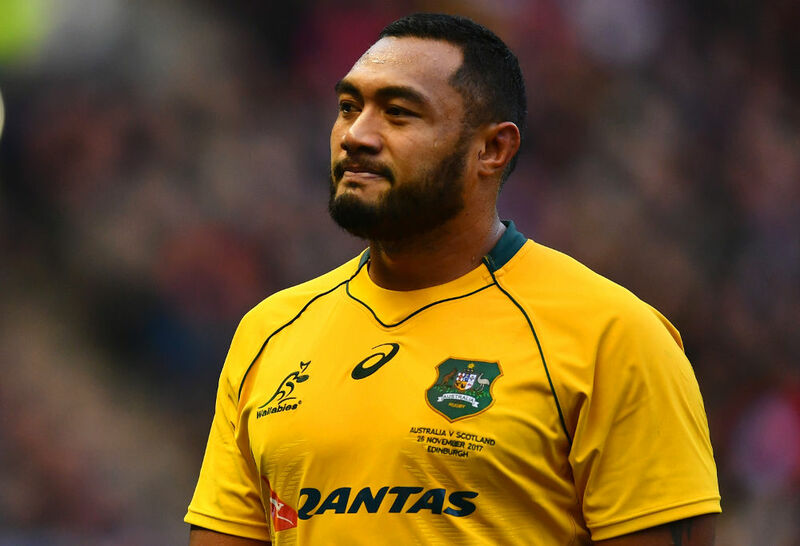 Alaalatoa’s footwork does the rest, setting up an opportunity which Australia converted on the very next phase. No miracle passes are necessary to finish the move, because the spadework has already been done accurately and with finesse by the front-row finishers. Simple hands are all that is needed to release Dane Haylett-Petty on a scoring run to the corner. It is a simple equation: claw for the inches inside, reap the rewards on the outer. Meanwhile, Kepu certainly appears to have regained his appetite for the game after switching back to loosehead prop, the position in which his international career first began all the way back in 2008. It is ironic to think that only two seasons ago, he and Allan Alaalatoa would have been propping on opposite sides of the scrum! Kepu makes one of those 30-metre recovery sprints which were so conspicuous by their absence in the first game between the same two teams, cleaning out not one but two Argentine defenders over the tackle ball at the end of it. It is a magnificent piece of unseen support work which was deservedly crowned by a try on the following phase. It represents the true meaning of accountability, doing the work that will never make the highlight reel. The match in Salta was one of the more spectacular examples in recent times of the importance of finishers, impact players who come off the bench to really make a difference. The new Wallaby front row trotted on to the field a little earlier than they might have expected, but the upswing in productivity and critical involvements in that area was a massive factor in turning Australia’s fortunes around. All three of Tolu Latu, Sekope Kepu and Allan Alaalatoa passed, ran and offloaded with accuracy and edge in the second of those two Australian forward pods. In doing so, they addressed all of the issues I raised in part one of this series of articles. There was subtlety and variation in the running of angles and a sense of responsibility for the options taken. This has been missing up until this point in the Rugby Championship, and it was no accident that Australia’s try-scoring capacity shot up to six from a seasonal average of two per game as a result. In the process, Tolu Latu’s Test career has been kick-started, and Sekope Kepu’s has probably been prolonged. There were bonuses everywhere. If the Wallabies can pay as much attention to detail, and becomes as accountable on defence in the build-up to their Bledisloe 3 clash against New Zealand in Yokohama on October 27, they may yet have a chance of tipping over the world champions and their most ancient of rivals. If you think rugby players are tough, you should check out all the athletes at the 2018 Invictus Games. Sage are a premium partner of the Invictus Games. Visit sage.com/au/invictusgames to see how Sage support those who overcome challenges in sport and business.